We are a highly rated, locally owned tree service company, proudly offering quality tree care solutions at affordable rates. We operate in Aurora, IL and the surrounding region, taking advantage of our years of experience to assist you with all of your tree care needs throughout every season. Call now for a free quote and evaluation! We happily provide tree service solutions for both residential and business properties at exceptional prices. owners who have suffered damage due to flooding, storms, and tornadoes. Unsure if or when a tree should be removed? Schedule a complimentary evaluation and one of our tree specialists will help you draw out an ideal plan of action for your specific situation. Do not take things into your own hands - call us now for a free quote and to learn more about our quality tree maintenance choices. 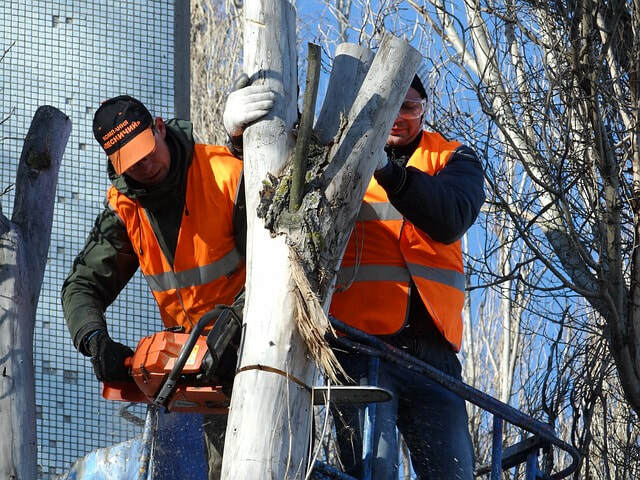 ​​​Professional crew with years of experience: As the top tree care business in Aurora Illinois, we make certain our crews are highly trained and fully equipped to tackle just about every type of project. We also hold our team members to high ethical and safety standards - ensuring that each project is completed with the utmost professionalism and lowest possible risk to people and property. ​​Speed of Service: We value our customer's time. When we are hired for a job we make it a point to complete the project as quickly and efficiently as possible, while also upholding the highest standards of safety and quality. Also, when you call us to receive a free quote and evaluation, we are often able to come to your property that same day. Fair Pricing: Many tree care companies will inflate their prices depending on the circumstances or season. We are committed to always quoting fair prices that we know will be competitive. We will also provide a full free tree evaluation before starting a project. 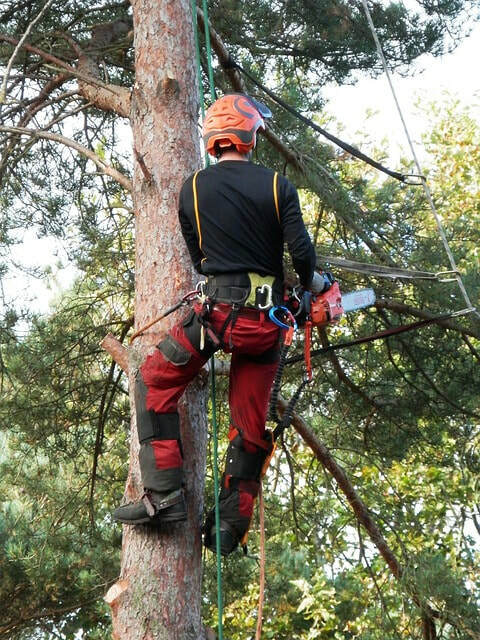 We've got the expertise and know-how to handle nearly any tree felling job. Our fully accredited tree doctors are specially trained and comfortable with a vast array of tree removal situations. Based on the conditions of each particular tree, we might implement a lowering apparatus, rigging ropes, or other technical equipment, allowing us to make sure your tree is cut down correctly. 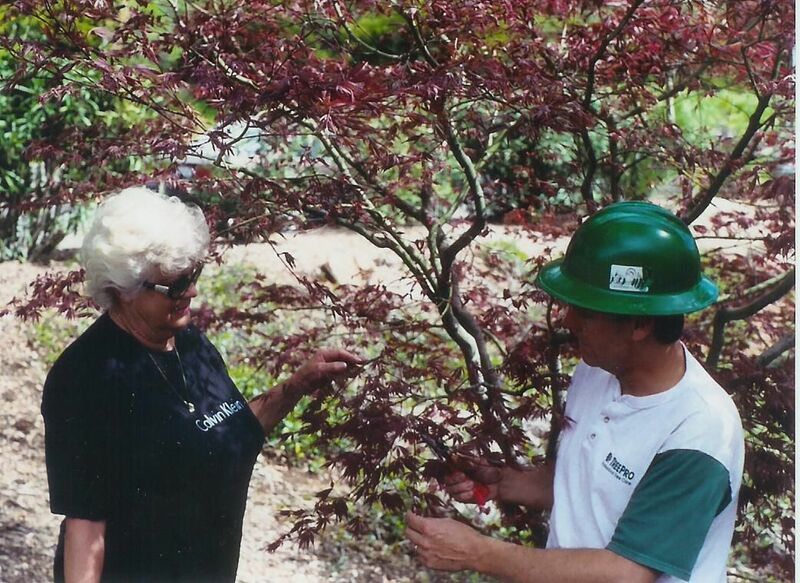 Whether a tree is large or small, dead or alive, we’ve got the expertise and years of wisdom to handle it. Give us a call now and we’ll assist you by providing you with a free tree evaluation and estimate. When done incorrectly or without appropriate instruction, tree cutting has the potential to be quite risky. Do not undertake such a job by yourself. Give us a call and permit a tree specialist to assist you with your tree. When well cared for, trees can provide play areas, shady spots, and gorgeous natural scenery. However, if they are ignored they can grow to be unattractive, cause harm to property, and become obstacles for structures - including power lines. To help make sure that your trees are kept in their best shape, our staff provides tree pruning and tree trimming services. Trimming not only helps a tree to look its finest, but it can boost the overall health of a tree too. In addition, we provide tree cabling/tree bracing/tree topping and can guarantee compliance with regulations set up by utilities companies. Give us a call now to learn more and to schedule a free tree analysis. Having old tree stumps on your property may result in a range of problems. These stumps are not only unsightly, but they often function as shelters for insect and rodent pests. Additionally, tree stumps have the potential to break yard care equipment and serve as tripping hazards for individuals who are outdoors. To help you protect against these issues we provide stump grinding in addition to complete stump removal. Before this type of project is started, our tree surgeons will provide you with a consultation on the elimination of your stump. We also have the ability to package stump removal/grinding together with additional services so as to increase the affordability of your project. Give us a call and let us enhance the attractiveness and maintainability of your property. Storm damage happens! If flooding, lightning, straight-line winds, an ice storm, a tornado, or another catastrophe has damaged a tree on your property we have the ability to provide emergency care 24/7 to help clean up the damage. We have the ability to work with most major insurers - allowing you to save both money and time. ​We are a committed group of outdoor individuals with an established record of quality and safety. We make a point to hire arborists who truly appreciate the trees and plants that they work with. Our tree surgeons enjoy what they do and it shows! We have an extensive record of providing quality tree maintenance to satisfied clients across O'Fallon, MO and the surrounding region. We work and live here, and as such, we’re committed to offering safe, professional tree work to our friends and neighbors at competitive prices. Each tree doctor within our team is fully bonded and insured, which means you can rest easy knowing you and your property are protected from any event that could take place while we work together. We take our duty seriously and endeavor to supply high quality services. Our teams and managers are well trained, fully accredited and current on the most up to date practices and latest research - ensuring you receive the best services available. Our teams are held to high safety standards and will arrive at your property outfitted and prepared to offer you the quality tree maintenance you deserve. And, while we place a great deal of importance on efficiency and timeliness, we’ll never rush a job, as this puts ourselves and your property at risk. Trees can invigorate a yard, making it a better place to play, live, and work. They can also provide clean air, shade, and a natural aesthetic to a neighborhood. 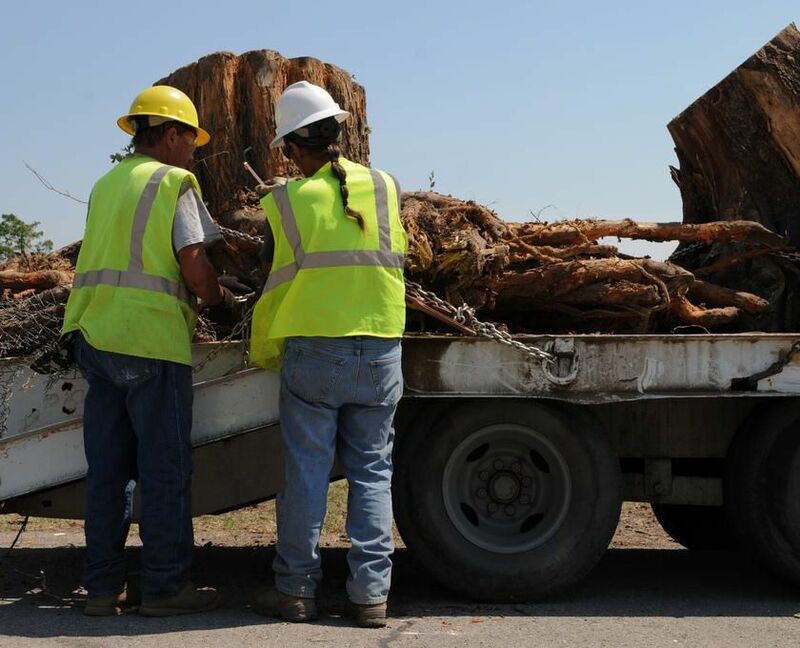 That is why our tree company wants to ensure that high quality tree cutting services are available to each homeowner in the Aurora, IL area and why we are enthusiastic about providing tree removal, tree trimming, and stump removal at an affordable cost. Our tree company offers the best service in the local market – making it a point to finish each job in an ethical and efficient manner. 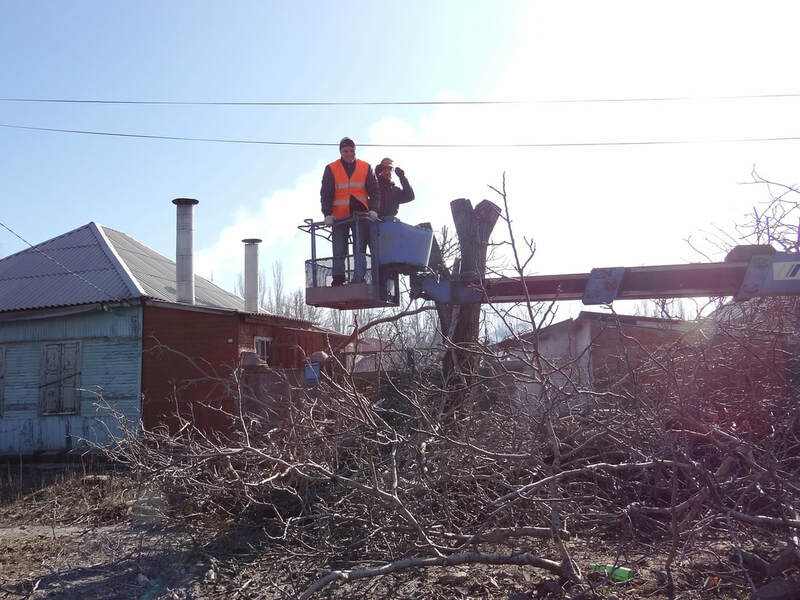 Tree cutting does not need to be a dangerous undertaking. By using the most up to date methods and tools we manage to lessen the potential of harm to both property and individuals. Furthermore, we guarantee that all of our tree specialists are insured - so in case a problem does occur all liability is covered. Do not try to take on such a project by yourself - call us now to find out more about our affordable tree care options. Are you currently in need of emergency support because of storm damage? Our arborists can eliminate trees and remove limbs from automobiles and homes safely and efficiently. We also have the ability to work with your insurer, allowing you a much smoother recovery. When purchasing our services we make certain you understand precisely what to expect. Our team is always professional, punctual, and considerate of your property and time. We will never charge hidden fees and all of our estimates are obligation free. We have had many happy customers up to this point and we are looking to serve many more. We’re locally owned and managed, which means that your hard earned dollars remain within your community. We are constantly striving to offer the safest, most professional, and most economical tree maintenance services possible! Contact us today at 630-590-0967 for a free tree analysis and quote! Legal Disclaimer - This is a referral site. All work completed by a licensed professional.